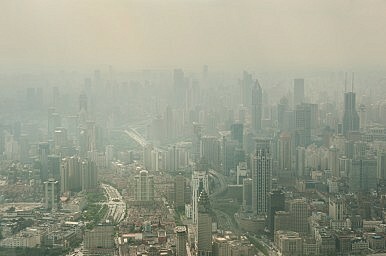 China’s government talks often about a “war on pollution,” but refuses to equip its greatest weapon: public awareness. It’s a very good metaphor, I think: the importance of being alert while driving, minding red lights, and the danger of steering blind. This means knowing the risks of pollution and how to avoid them. In other words, raising awareness. Those overseeing agencies which turn a blind eye to polluting activities and fail to perform their overseeing duties will be held accountable […] We have to take action ourselves. I hope that the government, the businesses and each and every individual of the society will act together and make persistent efforts to win this tough battle against smog. So, we must be “keenly aware,” overseers who “turn a blind eye” to pollution will be punished and “each and every individual of the society” must take action. At the third session of the Twelfth NPC, held on March 5 this year, Li delivered his “Report on the Work of the Government,” calling pollution “a blight on people’s quality of life and a trouble that weighs on their hearts.” According to China Daily, his remarks “earned the biggest applause” from the NPC that day. But before we join the claqueurs in feting Li with ovation, let’s remember the U.S.-China Joint Announcement on Climate Change last November. For the first time, Beijing struck an agreement with the U.S. to restrict its CO2 emissions yet simultaneously censored U.S. websites that monitor those emissions. Or consider former CCTV journalist Chai Jing’s Under the Dome, a self-financed documentary about air pollution in China released on February 28 this year. If Li wants people to be “keenly aware” and truly opposes “blind development,” he can do no better than to promote this film, a comprehensive and lucid analysis of the problem. After all, he claims “each and every individual” must take action, which makes Chai Jing a model citizen. The film received 200 million views in its first week online, and it almost seemed Li’s war would have its first major victory. But the film, which you can see here, was censored by the government on March 6—the very day after Li received applause for his anti-pollution speech. Li talks about the dangers of driving blind and the government slips a blindfold over the face of the Chinese people. Li speaks about heeding “nature’s red-light,” and the government applauds–then runs a red light. It’s not that the government is doing nothing. Last Friday Shanghai Daily reported the close or relocation of 185 firms in the first half of 2015, and while the censorship accompanying November’s summit was disappointing, the summit itself was a major step forward. But the government is the greatest overseer of all, and when it forces people to “turn a blind eye,” or simply blinds them, no one is held accountable. The government wants controlled, sustainable development. That is, progress without any threat to the stability of the Party. So when an informative documentary gets 200 million views, the government shuts it down for fear of public outrage. By obstructing awareness instead of promoting it, the government is putting Party security before public safety. As I hope to show in the future, the value of public awareness is a lesson the government already learned with regard to HIV/AIDS, and this lesson should be transferable. A July 2015 paper, “Annual Air Pollution Caused by the Hungry Ghost Festival,” shows a 60 percent increase of chemical elements in the composition of rainwater “correlated directly with burning events during this festival.” It is admittedly a small example, but one that illustrates the life-saving potential of being “keenly aware” of the impact everyday activities have on the environment.